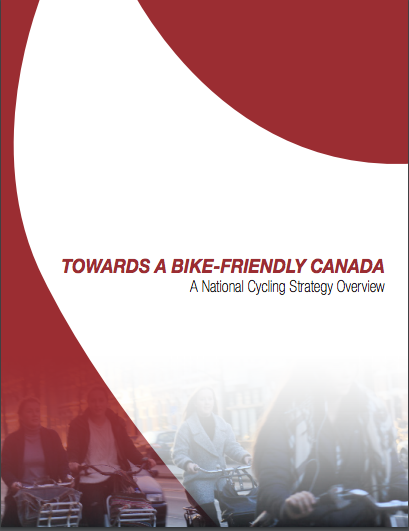 To raise awareness of how powerful and galvanizing such an approach can be, we have developed a primer called Towards a Bike-Friendly Canada: A National Cycling Strategy Overview. The document is inspired by long-established frameworks already in place in the most advanced and successful bike-friendly countries in the world. We hope you find it helpful in describing what a national cycling strategy could do for Canada and for all of us. Please read through the document. Share with your local representatives, your MPs, your friends and your colleagues. This is a living document and a spark for conversation. While we await action on a national strategy, Canada Bikes will continue to raise awareness of all of its components and connect experts around the country. Please share your thoughts, your criticisms, your ideas or your hopes on social media using #BikeFriendlyCanada. For detailed information on what national governments around the world have been doing recently to make cycling better, have a look at this table comparing strategies around the world*.